The City Ring Metro line will not be fully functional if it opens as planned next summer, reports Berlingske. The newspaper has seen official Copenhagen Municipality documents that reveal only 15 of the planned 17 stations will be completed on time. 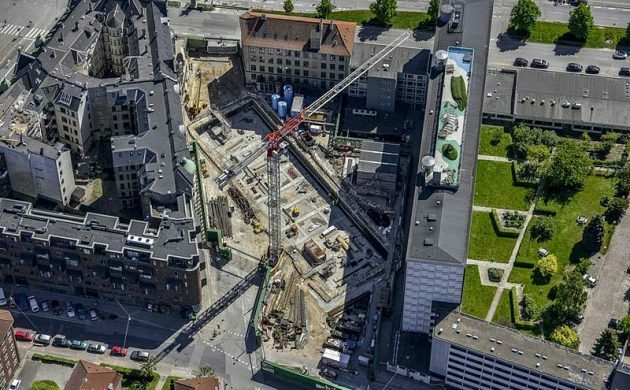 The remaining two stations, Poul Henningsens Plads in Østerbro and nearby Østerport, won’t be finished until the autumn of 2019 and the spring of 2020 respectively. However, officials from the Metroselskabet operating company have not yet confirmed the news, stating that the company is battling hard to fulfil its promise to open in July 2019. And Metroselskabet was quick to contact CPH POST this morning to confirm that “all 17 stations” will be ready for the opening next summer. “At Østerport we will need to work on some stairs until 2020. Until the permanent stairs are ready the passengers can use a temporary staircase – like the passengers do now at Kongens Nytorv,” contended Metroselskabet. In February 2014, Metroselskabet pushed back its original plan to open in December 2018 by half a year – partially blaming the number of noise complaints for slowing down construction. Employee strikes have also delayed the project. And later that year, Metroselskabet conceded that the line would probably open in 2020. In fact, at one point in 2013 it even suggested the line might not open until 2024. According to the latest figures made available, the City Ring has cost a total of 24.8 billion kroner. This story did not originally include any input from Metroselskabet. The updated version now includes its confirmation that the stations in question will not be fully completed by next summer, but will be operational.